Zeno Products designs, manufactures outdoor fireplaces, wood stores, garden accessories and custom objects of Corten steel or stainless steel. She is an agent or distributor for a number of additional brands. Your desire to enjoy is our constant source of inspiration. 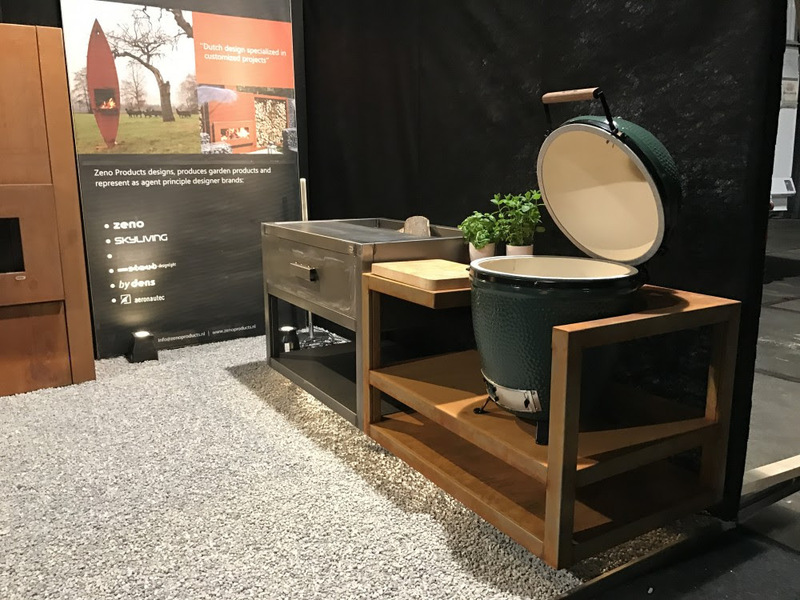 Therefore, in addition to its own brand Zeno Products Zeno outdoor fireplaces, garden furniture and wood storage of Corten steel expanded its range with additional products and agencies in order to increase your enjoyment of home, garden and on your terrace. Thus we have beside our own brand by Zeno and dens together a nice palette for lighting, decking, garden furniture, umbrellas and shade cloths. Why choose a Zeno outdoor fireplace or wood store? Offering tailor made many applications of the outdoor fireplaces and wood stores. Sensible products in an unconventional design, making them beautiful at times when not in use.